Drill bits are essential for any dad or worker out there. These are versatile tools that your hand or bench drill you should get. Remember, you don’t have to be a professional or a hobbyist to need this. That’s because simple tasks at home alone sometimes call for the best drill bit set and the best drill too. With that said, stay tuned to find out our top five picks that we believe are the best for you. This article isn’t only for professionals. Rather, we also want beginners and novices to be involved, so stick around! It comes with a bit holder. For the beginners out there who just bought a drill, finding a good drill bit set can be tricky. Most of us wouldn’t know what to look for, how many, and how the drill bits differ. To answer all these worries, it’s important that we go to the roots and discuss the function and design of a drill bit. For starters, drill bits are obviously the cutting tool of the drill’s mechanism. Any drill, be it handheld or bench, are only the motor that gives rotational force. That means it’s nothing but a rotating machine without the bit. When the bits are attached, users can appreciate creating holes and cutting techniques. Drill bits come in all shapes and sizes, which are all suited to perform a particular task. If you’re a seasoned woodworker, you’d know that there are many types of joints and holes. 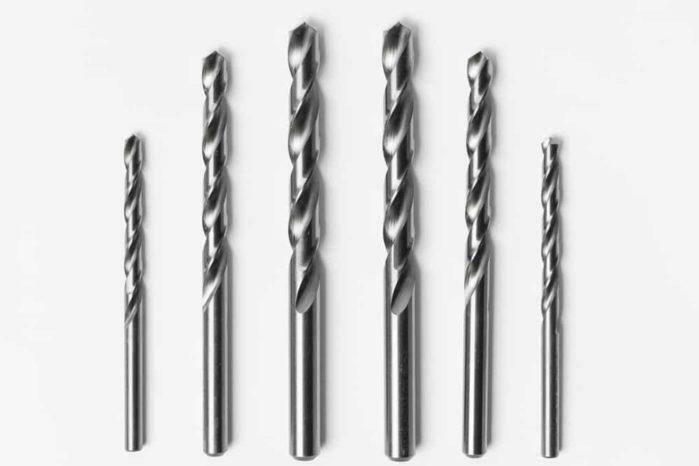 Your ability to create these all depend on the variation of your drill bit set. So, how do drill bits differ? The answer lies on how you shape the piece. If you try to scrutinise a drill bit, you’ll see that it has a spiralling pattern. This spiral helps to create the hole that you desire in your wood or metal projects. The dimensions of the spiral influence the diameter and shape of the hole that you’re trying to create. The dowel bit is one if not the most famous drilling bit for woodworks. You’ll immediately notice the dowel bit upon closer inspection. That is because of the bit has a small pointed tip. It acts as a stabiliser and an entry point when dealing with wood. By puncturing the wood before drilling, you’ll get better results with a more stable drill. The auger bit looks a lot intimidating compared to the dowel. That is because of its weird shape that has larger gaps between each spiral. If you analyse it carefully, this form of the auger bit is designed to cut deeper holes. Thus, it’s perfect for those working with bigger projects that need to puncture large holes for larger bolts. Like the dowel bit, it has a fine tip. However, it comes with a spiralling pattern instead of a straight and pointed tip. You can resharpen these if you purchase the carbon types. These bits are unique in both shape and function. It got its name due to how it looks. When checked carefully, this piece resembles a sort of spade or shovel instead of a regular bit. There’s no spiral body, and it only has a straight and elongated body. However, the tip starts to flatten into a spade-like shape, sort of similar with a flat screwdriver. At the end of the levelled area comes a pointed spear-like tip. The width of the levelled area varies. It can be around a quarter of an inch, to an inch and a half. The only function of this bit is to create large paddle-like holes in wood to accommodate larger screws. SDS bits are functional pieces that you can use with a chuck that uses a particular mechanism. Thus, you can’t use this if you’re not using a chuck mechanism. Depending on the chuck you have, an SDS bit can be mounted to perform a particular task. That is why these pieces go in different sizes as well. One key thing to look into here is that it has a fluted body besides the bit. It distinguishes and allows you to mount the chuck. These pieces are made out of hardened material because it makes use of strength over piercing power. Unlike the other drill bits, the masonry bit does not have any pointed tip. That’s because its nature is to cut masonry as opposed to wood. Unlike wood, that has a grainy material, masonry is a lot compact and dense. That means that you won’t get by piercing it. So the masonry bits work by punching its way through with force. Hence, why it’s designed with a rounded, blunt tip. The last item on our list is one of the most highly regarded drill bits. It is a drill bit that we recommend for you to focus on when buying a drill bit set. Why? Simply put, metal drill bits are arguably the strongest and most versatile of the bunch. Metal drill bits come with the carbon-black colour. This colour comes because a top-notch steel reinforces them. This kind of construction gave way to its second name which is high-speed steel (HSS). Metal drill bits don’t have a spear-like tip nor does it have a blunt tip. That means that it does not concentrate on dealing with one particular material despite its name. 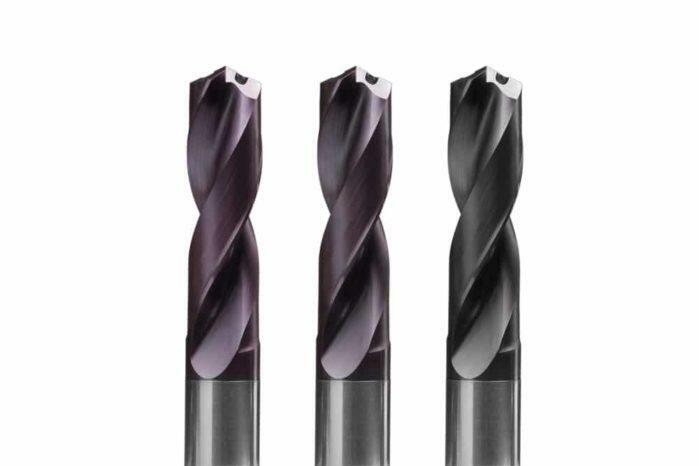 Rather, these HSS bits have a V-shaped tip that you immediately integrate with its spiral body. This sort of design allows it to be capable of drilling holes through metal, plastic, wood, masonry, and much more. However, do take note that it’s best for metalworks. With Tooluxe’s 10171L Titanium drill bit set, you get 13 pieces of high-speed steel bits. It features a 135-degree split point tip and twist design. That helps increase the cutting speed of the drill bits (while self-centring) and prevents walking. It also helps clear chips and particles faster. Tooluxe also delivers “quick change” which makes it ideal for all power tools. With this, you can now lock into quick change chuck more quickly and securely. Most importantly, it includes a versatile array of bits. On the other hand, Bosch’s TI9IM 9 piece Impact Tough Titanium Drill Bit set also comes in a five piece set. The pieces feature a no skate tip making very straight starts. You can use it for heavy gauge and high carbon steel making it durable. The long flutes are also effective material removers. Also, its impact rated shank for high torque drill/drivers and titanium coating makes this set an excellent tool to have in your shed. 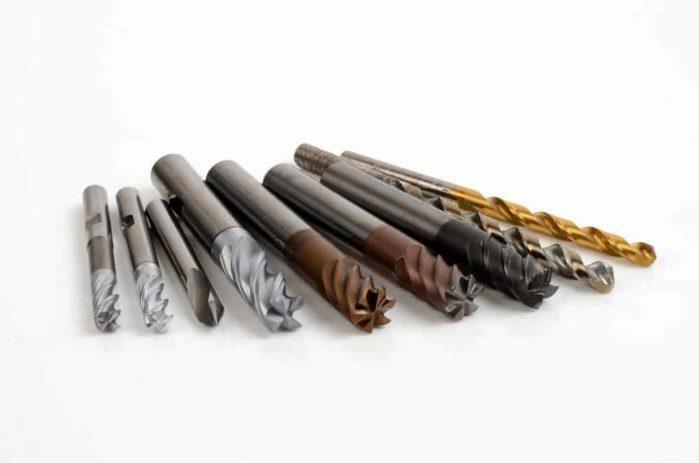 As for CO-Z’s PCS Spiral Twist HSS, Titanium Coated Roll Forged Drill Bits Set; you get anti-corrosion and rust-resistant bits despite heavy usage. 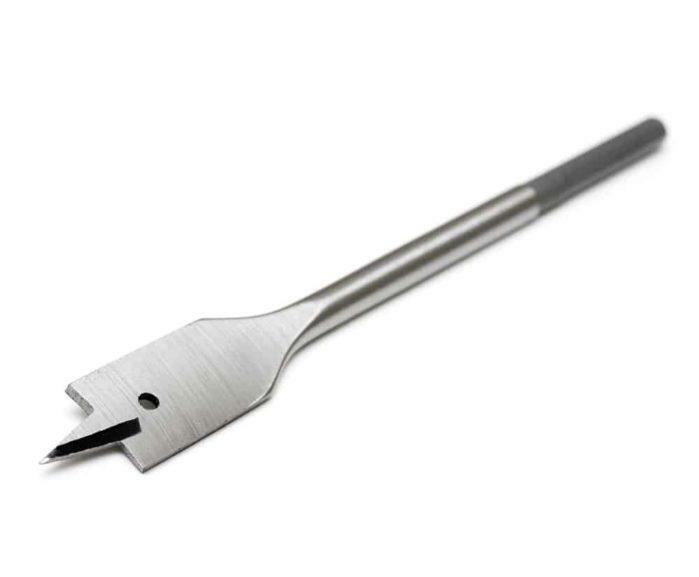 Similar to Tooluxe’s, CO-Z also features a 135-degree split point but with two cutting edges and one flute for better buffer and drilling speed. It helps lengthen the lifespan of the drill bit. Moreover, it comes with a case that is rubber reinforced, making it shockproof. The latch closer is for added accessibility. That is ideal for those who need portability and are always on the go. Black and Decker’s 15-110 High-Speed Steel General Purpose Drill Set includes ten pieces of the most commonly used drill bits from 1/16 to ¼ inch. It comes with a handy bit bar organiser (that has a sizing index) for easier storage. This piece set is ideal for DIY projects that make use of wood, metal or plastic. Lastly, is Dewalt’s DW1354 Titanium Drill Bit Set. It features a titanium pilot point for longer bit life span. It has no spin shanks and a tapered web, providing greater durability and less breaking. But what makes it unique is that it starts on contact. 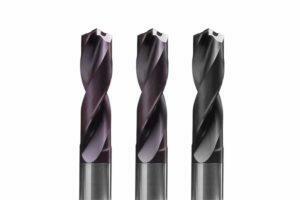 Unlike other drill bits that spin even before contact with the surface. It is what helps the Dewalt drill bits deliver cleaner and more precise holes. The drill set with the most number of pieces included is necessarily the best. The sizes contained in the set should also be beneficial and versatile. With that said, Dewalt DW1354 Titanium Drill Bit Set might be a good starting option. The set includes a wide variety of useful drill bits making it an excellent tool to have at home. It is also universally compatible with most screwdrivers. On the other hand, Bosch’s nine piece Impact Tough Titanium Drill Bit Set is also a good option for minimalists who don’t need a lot of pieces. Anyway, always remember that how you’re going to use your drill is the key factor here. With that said, tell us what you think below about the best drill bit sets. Don’t forget to like and share it with your fellow friends, good luck!